By Monday 11:00 the team had already completed an invertebrate test and a substrate test, and dived to complete the third underwater ID test when Rex said: “This is like that advertisement for the U.S. Army – We do more before breakfast than you do in the entire day!” How true! 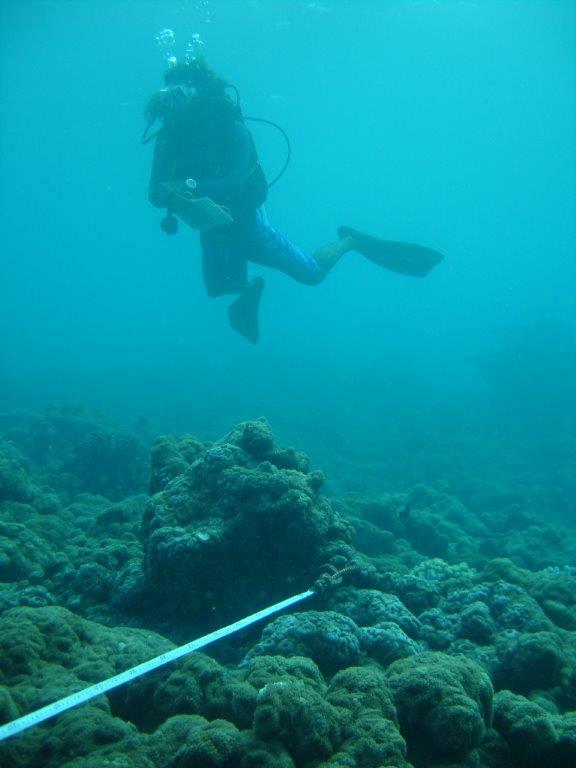 By 19:00, we had gone on to complete a full Reef Check survey on a site that was pristine before the big bleaching event in 1997/8. Now, 17 years later, it was entirely colonised by corallimorphs (not corals). We also completed a final test (with 100% pass rate). As a reward, everyone got a lie-in for Tuesday – until 06:30. On Tuesday a beautiful full moon set as the sun rose over the ‘yoga deck’, and a few early risers dutifully saluted it. 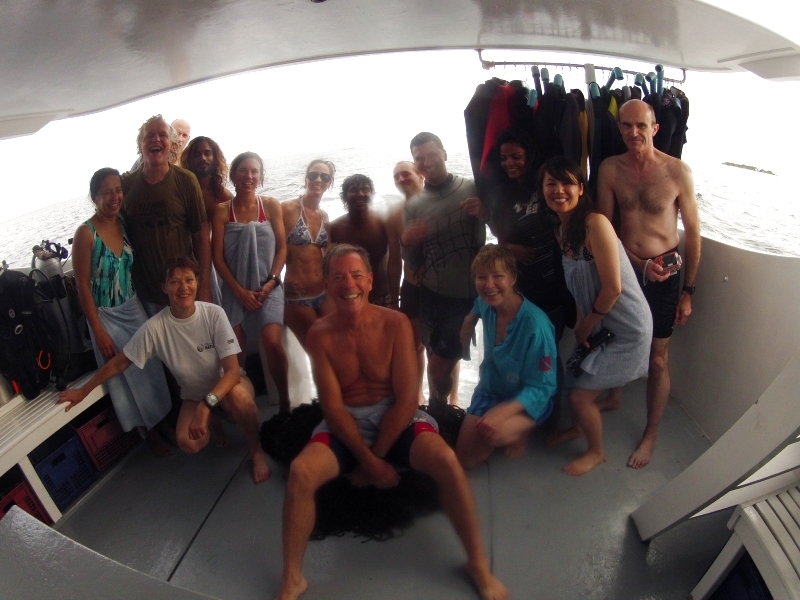 The calm was not to last, however, as the current on the first dive, coupled with the shallow gradient of the reef caused a few problems, though not insurmountable and the quality of the reef lifted everyone’s spirits. The second Reef Check survey was equally as successful and the day rounded off nicely with a beautifully relaxing night dive. 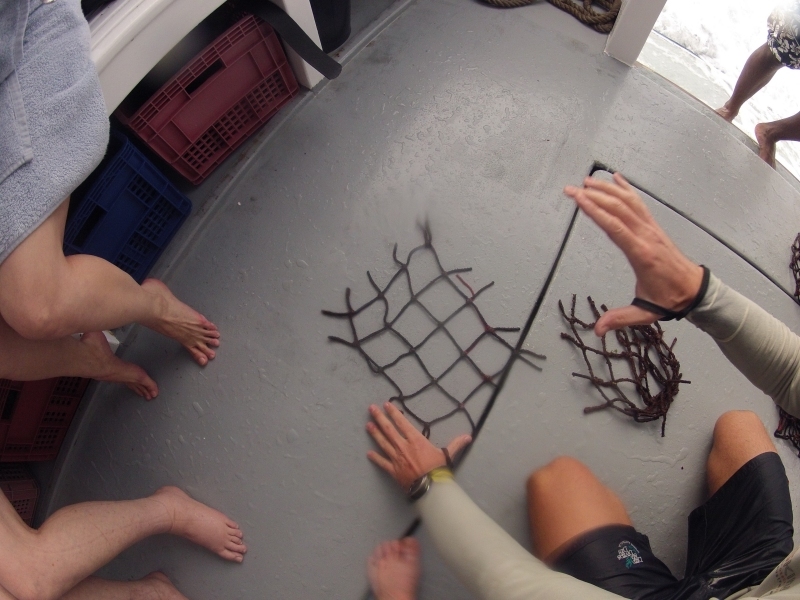 More Reef Check surveys today with the boat slowly waking up as I type this at 05:50…. 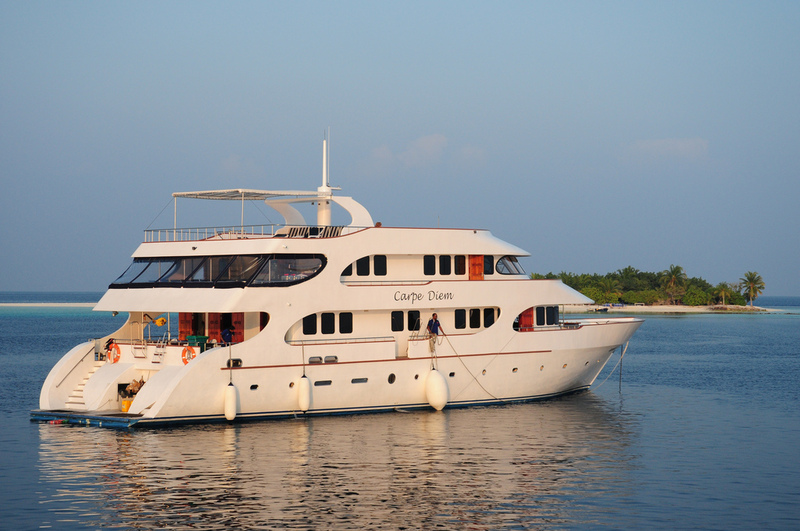 Yesterday, on Saturday the expedition team met in Male’, and after a short trip on our dhoni (transit and dive vessel for the week), we arrived at the MV Carpe Diem in all its splendour. After identifying the conservation aims of Reef Check and the environmental challenges facing the reef ecosystem, Dr. Jean-Luc Solandt, Biosphere Expeditions’s scientist from the Marine Conservation Society and co-ordinator of Reef Check here in the Maldives, embarks on the methodology. All in all a very busy day! 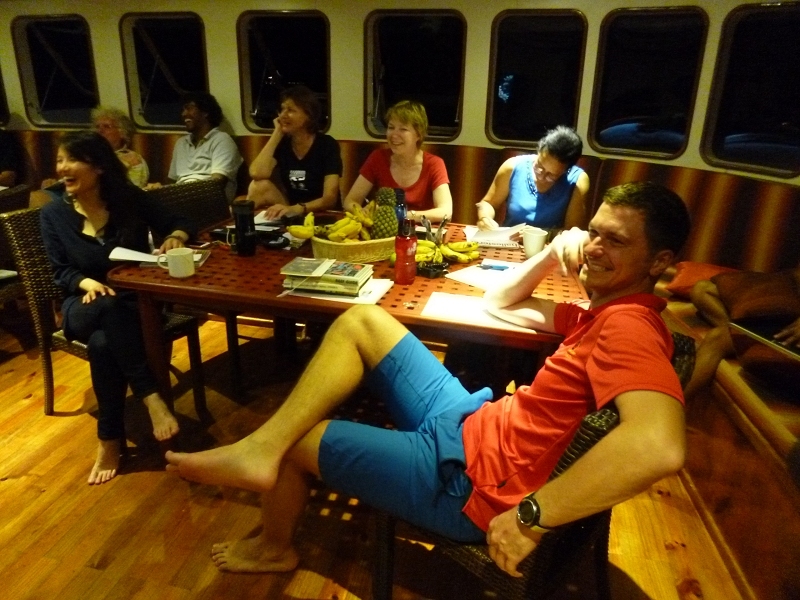 Today, Sunday, the team knuckled down to hard work with lectures, snorkels, dives (and more lectures! ), bringing the reality of conservation fieldwork to the forefront. 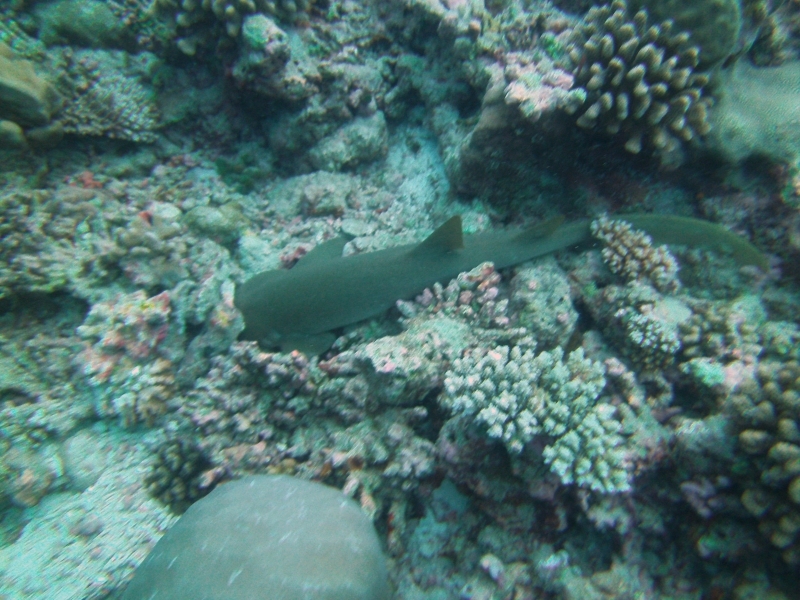 With a blacktip reef shark circling overhead, we learned to identify the complexities of marine flora and fauna, and now with tests looming, everyone is revising hard. 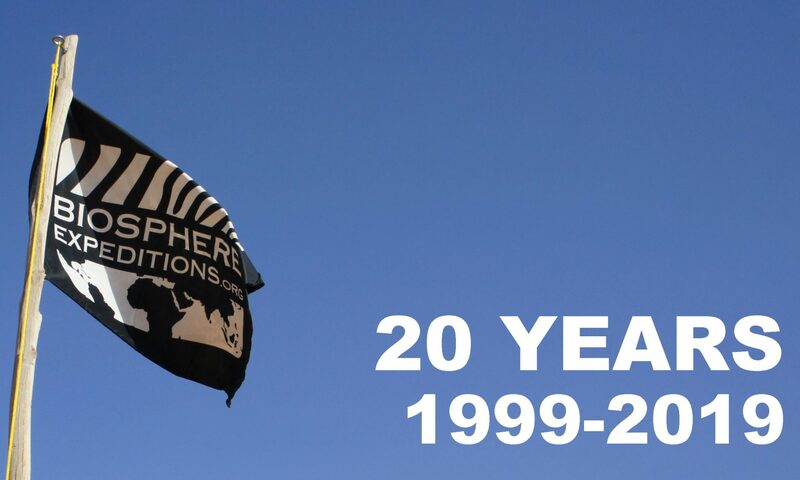 We, your Biosphere Expeditions staff, have arrived safely and have had very successful meetings with both Hussein Zahir from LaMer, and with Shiham Adam from MRC (the government’s Marine Research Centre). In a nutshell, both are very happy that we are continuing our collection of Reef Check data here in the Maldives. 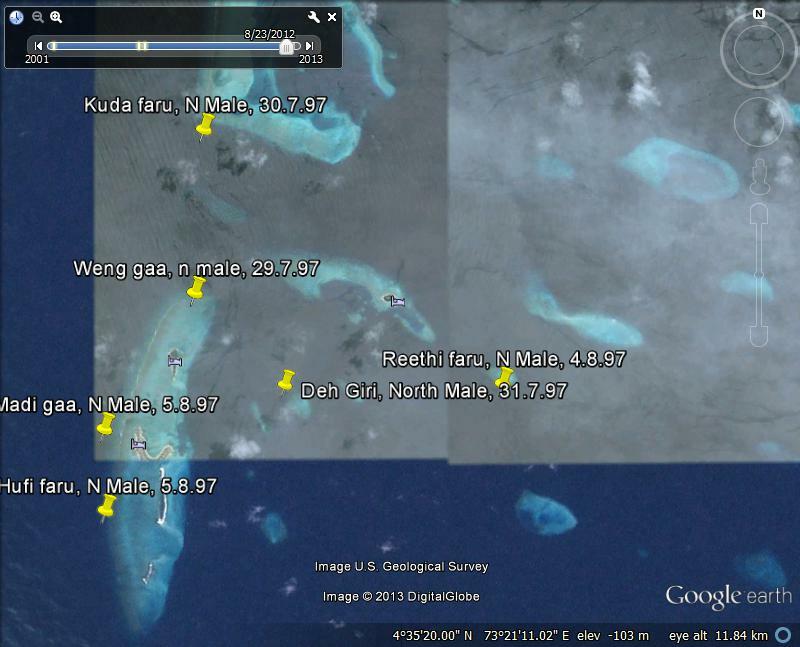 Hussein feels that it is very valuable data and can be added to the National Coral Reef Monitoring Framework protocols. Also, there is a desire that our data collected up until now are included in the National Status Report Assessment, currently being compiled by MRC. 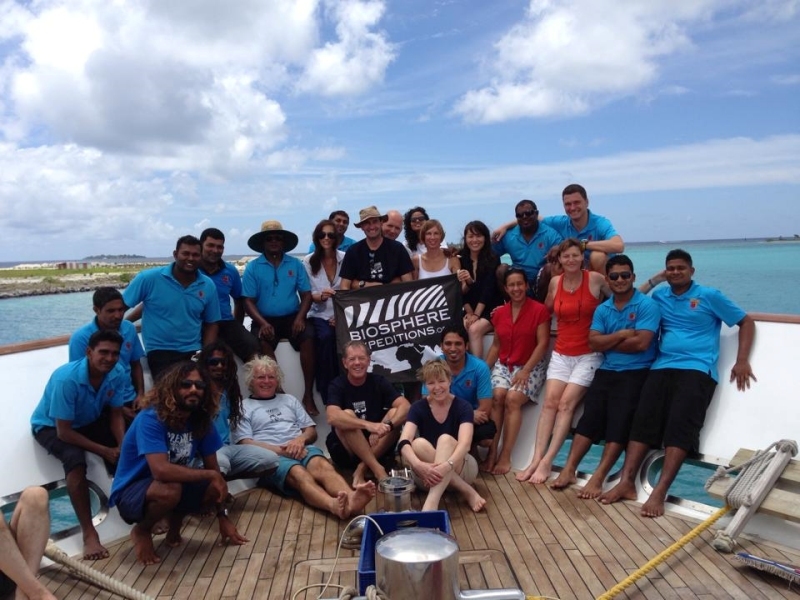 Both see our placement programme of local Maldivians coming with us on the boat, as they will be this year too, as an excellent way to increase capacity and raise awareness of conservation issues facing these threatened islands. We are meeting with Shaha from Gemana, a local reef conservation NGO, in an hour or so, and with Gabriel Grimsditch of IUCN and Rafil Mohammed from the Maldives Diving Association tomorrow. See you in a couple of days. Safe travels. Welcome to the Maldives diary. 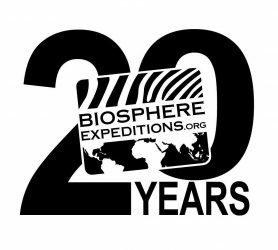 My name is Catherine Edsell and I will be your expedition leader for the Maldives; also coming along from Biosphere Expeditions will be Dr. Matthias Hammer, our executive director. 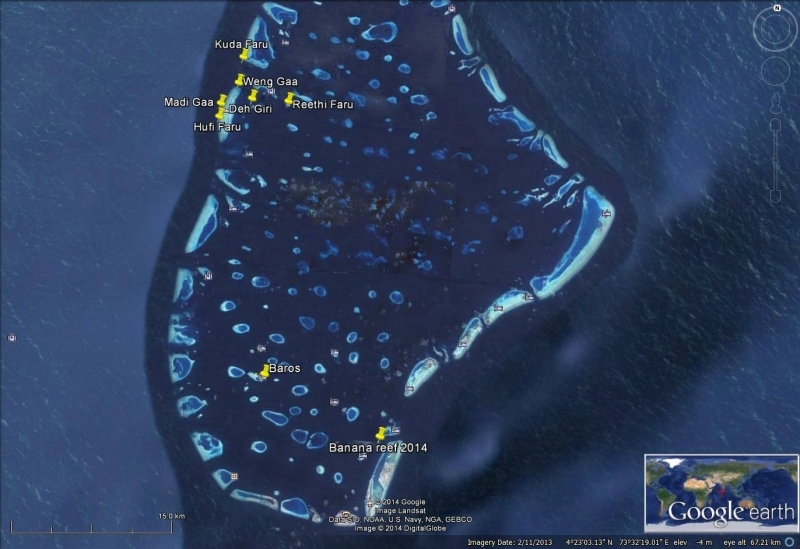 I will arrive a couple of days in advance with Dr. Jean-Luc Solandt, our scientist from the Marine Conservation Society and Reef Check’s Maldives co-ordinator, to set up and meet our local partners. As soon as I get my mobile phone connected in the Maldives, I will email you my Maldivian number (to be used for emergency purposes only, such as missing assembly). I hope all your preparations are going well and that you’ve had a chance to study all the Reef Check material and whale shark info available on the website. 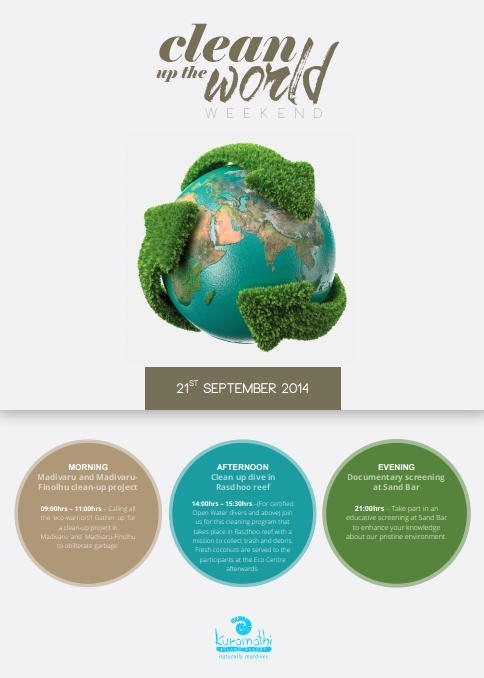 We have a packed schedule planned, so please arrive rested and ready to go. And talking about schedules, our expedition route is below. All subject to change, of course. So anyone thinking they are coming on a cushy dive “holiday” to go deep, please wake up 😉 After our week with us, you’ll never look at a reef the same way again. My next missive will be from the Maldives. Until there and then!